Amazon's new Fire 7 Kids Edition keeps your kids in a safe space online, and it's $30 off ahead of its October 15 launch. Nobody likes sparring with kids over who gets to use the tablet. And if you lose the battle, you better pray that the tyke doesn’t wander into Facebook or your work email. Buying a dedicated child-friendly tablet avoids all that headache and Amazon's new Fire 7 Kids Edition—out October 15—is on preorder sale today for $70, down from a list price of $100. 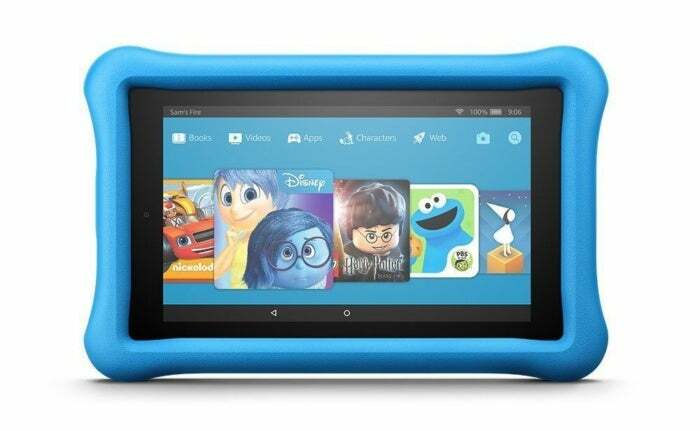 This tablet is built to be kid-friendly, but don't be fooled. It's still a fully functional Fire 7 tablet, featuring 16GB of storage with the option to add more, as well as a seven-inch display. An included one-year subscription to FreeTime Unlimited will keep your kids busy with child-friendly games, books, apps, and videos. If that's not enough, you can also give your kids parentally-controlled access to other apps like Netflix. Parents can also manage and monitor things like usage time and appropriate content via an intuitive parental control interface. This tablet's earlier editions have 4.2 stars out of 5 over nearly 10,000 user reviews. I have one in my household, and we love it especially for its durability (boosted by that included case). Ours has survived more than a few tumbles down the stairs with no issue at all.